Again for those of you who know me you will know of my passion and support for working with people in Nepal to improve the quality of education. I based my PhD on Actionaids literacy programme REFLECT in the Sikles sector of the ACAP and the impact that this had on the women and men there who attended evening classes. The classes unlike traditional literacy classes were based on discussions and learning together rather than being taught to read and write from a set text. The centres provided a space whereby the participants, mainly women, could talk about whatever issues they wanted. This led to their confidence growing in public speaking, problems being discussed and solutions identified and implemented. I was inspired by the impact that this had and the changes took place at the local level. I learnt so much from the experiences that these women shared with me. This then led on to the Sikles photography project and publication of the coffee tables book ‘Our Village Our Life’ – again the funds raised by this were put to good use at the local level by local people – reaffirming my commitment to autonomous development. Whilst I edited the booked all of the images in the book we taken by local people. 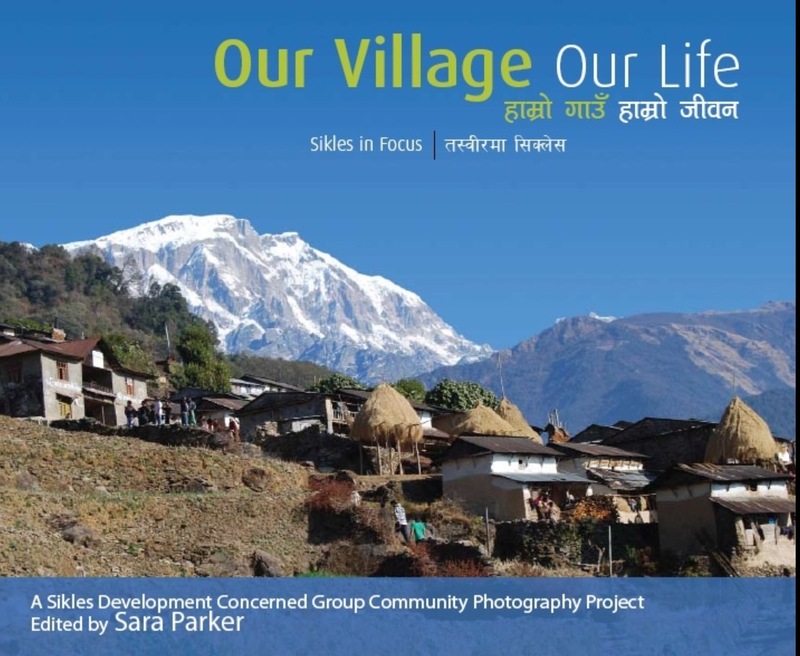 The book and exhibitions that resulted from this project have helped celebrate life in Sikles and show what life in a rural village in Nepal is like through the eyes of local people. 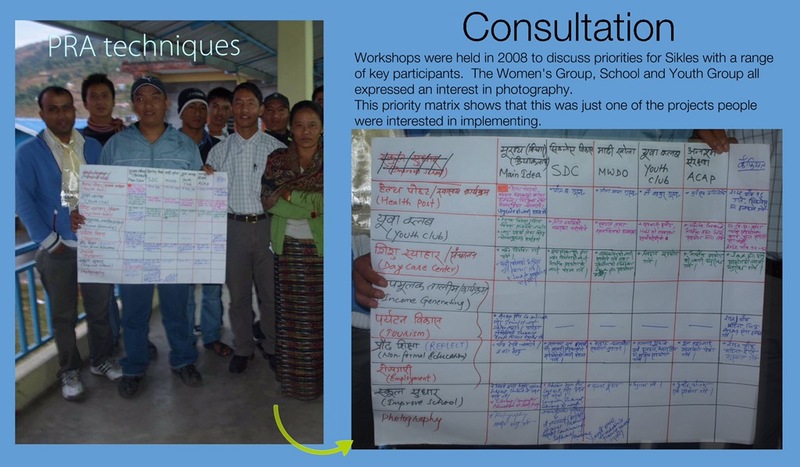 What more than amazes me though is that this project started in 2008 with a workshop in Pokhara and a matrix of needs and dreams being drawn up (see image below). This included wanting a new school to be built, a new health post to be built and a youth group to be established as well as increasing tourism and improving the day care cantre. Now only 8 years on all of these projects have been implemented – with the support of Government, Non Goverment and local people dashing funds and donating their labour. All of these projects which have been completed are down to the hard work of local people. I am in awe of all that has been achieved. The health post has been funded by Government funds, the secondary school rebuilt with the support of the Pahar Trust and youth club is almost complete with funds for the Sikles diaspora and contributions from local people of both land and labour. ACAP, Sikles Development Group, the Women’s Group and Youth Group have all worked together to help implement development projects initiated and developed by and with local people – the very essence of autonomous development. So when people say to me I have done so much for Sikles I really have to disagree as Sikles, Parche and the surrounding villages have done so much for themselves. We can all learn from their example. Recently friendship links have been developed by schools in Nepal and the UK, supported by the Pahar Trust http://www.pahar-trust.org/ptn-school-friendship-scheme Again through these links so much can be learnt from one another, gifts shared across the continents and a deeper understanding of the wealth in Nepal as well as some of the challenges remote villages face. You will always recieve a warm welcome when visiting friendship linked schools in Nepal. 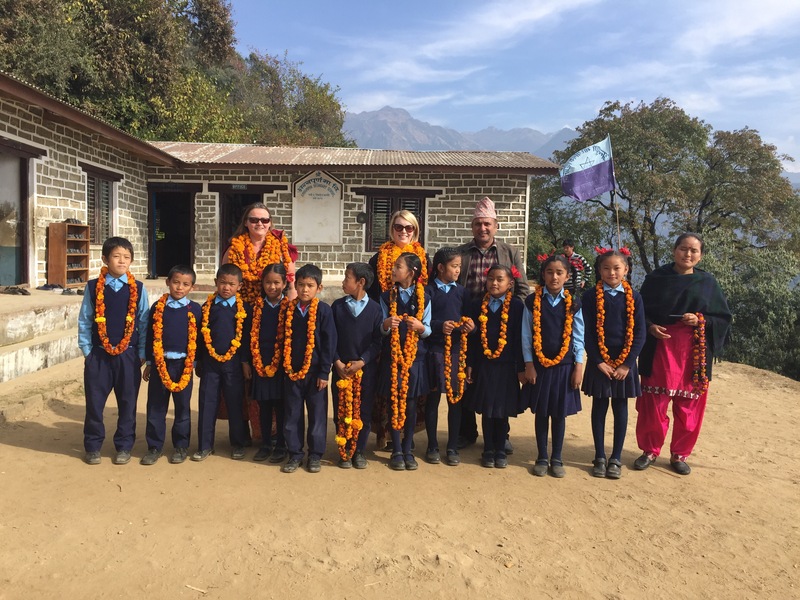 Sharing stories between Nepal and England helps children here learn about Nepal – here teachers from Sikles are visiting St Michaels in the Hamlet in Liverpool. Nepal is here to change you not for you to change it !